A Maori gang performed an emotional haka, as Jacinda Ardern met mourners. Source: Facebook/Hassan Ghani (left) and Getty (right). Members of the Black Power gang, one of New Zealand’s largest Maori groups, have performed an emotional haka outside Al Noor Mosque in Christchurch following the horrific shooting on Friday which left 50 people dead and more critical in hospital. Around ten members of the gang, which first formed in 1970, stood in front of mourners on Sunday to perform the powerful tribute in a video that has since gone viral, as people applaud the moving moment. A gang spokesman, who chose to remain anonymous, told the Daily Telegraph that everyone was grieving in the same way – despite their colour or religion. “Even though people call us a gang and what not, we live in this community together and it has just brought everyone together, it doesn’t matter what you wear or what colour your skin is, or what you stand for, your religion, it’s just brought everyone together like the earthquakes,” he said. 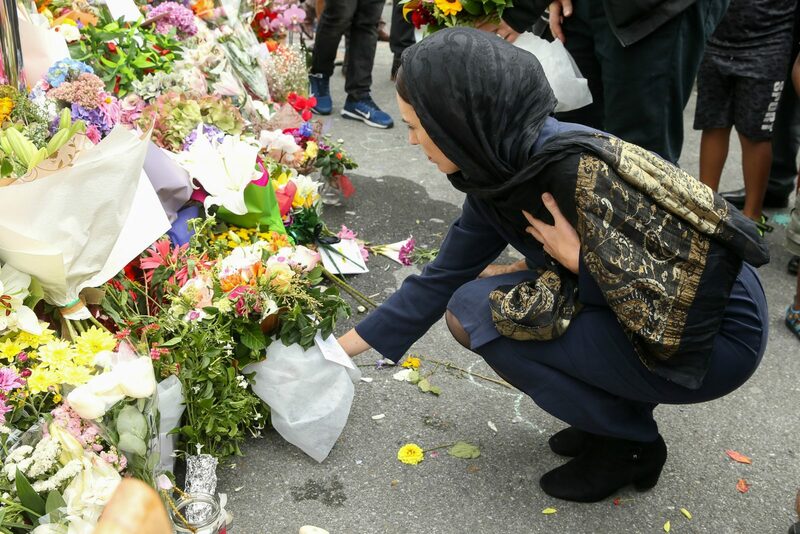 Meanwhile, as the performance moved crowds of mourners in Christchurch, NZ Prime Minister Jacinda Ardern led more mourners elsewhere in the city during a visit to a refugee centre. 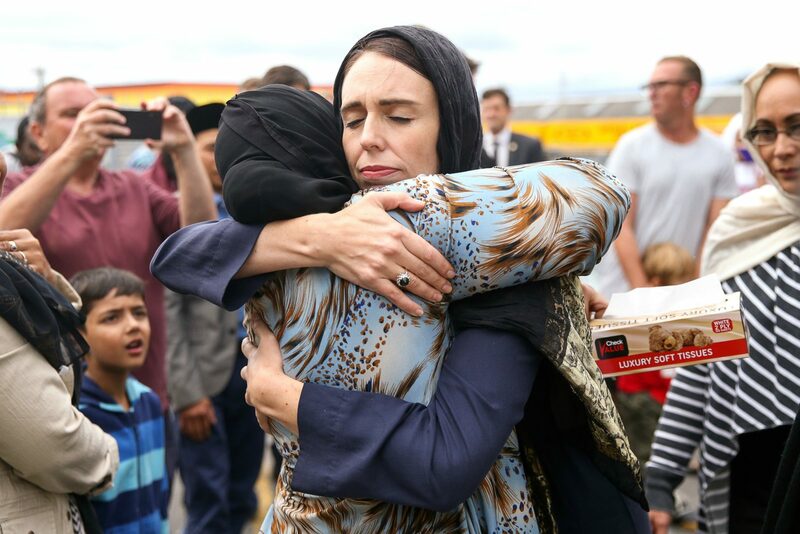 Jacinda Ardern embraced mourners in Christchurch. Source: Getty. And the haka in Christchurch wasn’t the only one performed in tribute, as members of a New Zealand biker gang performed another emotionally-charged routine on the Gold Coast in Australia. Jacinda Ardern laid flowers down in tribute. Source: Getty. On Friday afternoon the city in the country’s south island was targeted in what has been described as a designated terrorist attack. At about 1.40pm (local time) a gunman entered the Al Noor Mosque in central Christchurch and opened fire, before driving about 5 kilometres across town and attacking the Linwood mosque. The gunman is believed to have killed 41 people at the Al Noor mosque before driving about 5 kilometres across town and attacking the Linwood mosque, where he killed eight more people. One person died later in a hospital. Do you have a message for the families of those killed in the Christchurch shooting?